Anthony “Tony” Parkinson is a brother, son, father, husband, golfer, skier, bike racer, coach, and a friend. 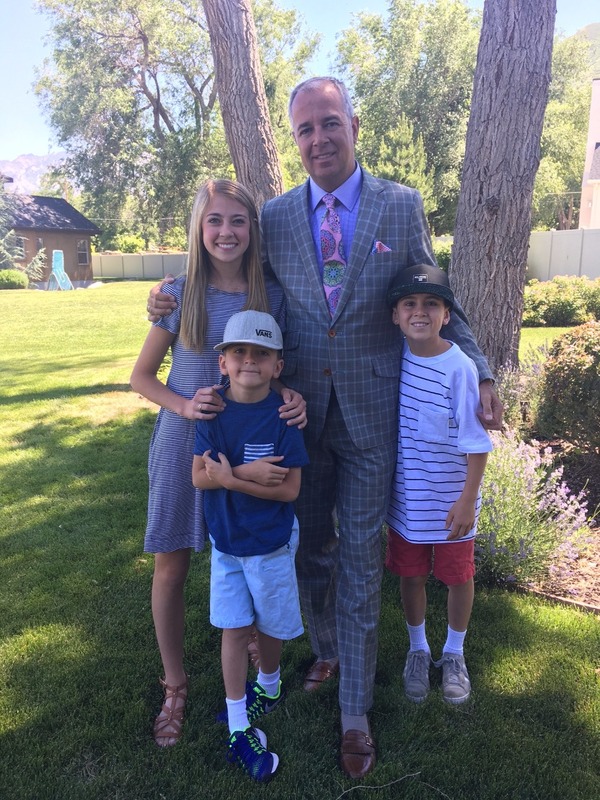 He is devoted to his family and his community through his participation in Corner Canyon Lacrosse as a coach. He is an incredible inspiration to how an individual should live life . Tony is best known for his demeanor. Each day is structured, airtight, and allows for very little error accomplishing his daily tasks. Those close to him admire his commitment to his children and the amount of time he finds each day to spend with them. This structure has allowed him to become an outstanding real estate appraiser. Tony is considered one of the best in his profession, and is revered by many as the best in the business. In February of 2016 while doing some routine bloodwork Tony received news of issues with his liver. 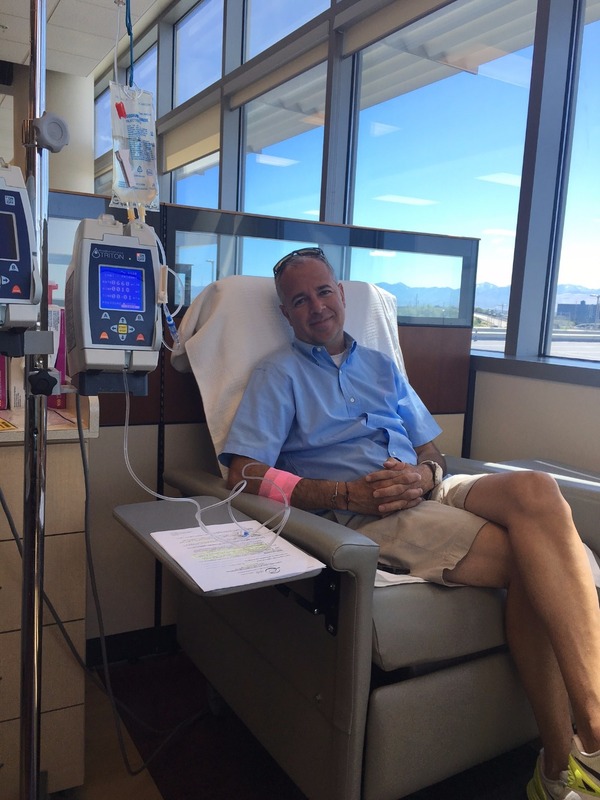 It was quickly realized Tony had bile duct cancer. The diagnosis was extremely serious from the start. With an outstanding support system of family and friends… a game plan of chemotherapy and radiation were put into play. As part of that plan, it was determined Tony would need a liver transplant. 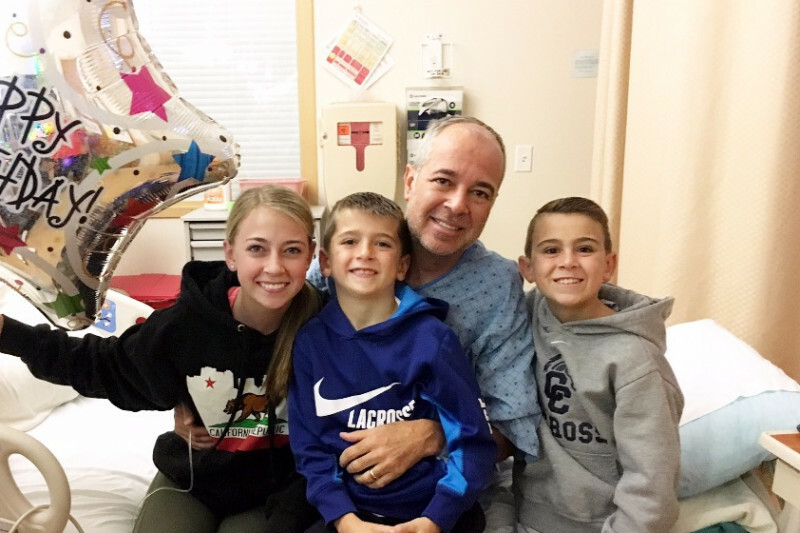 On August 27th, 2016, after months of daily treatments, Tony was blessed to be the recipient of a liver. For several weeks, things seemed to be getting better and on track to recovery. Although the results of follow up tests and scans seemed to be positive, complications began to manifest through headaches and fevers. It was soon realized that another recipient from the same donor had passed away from a fungal infection. 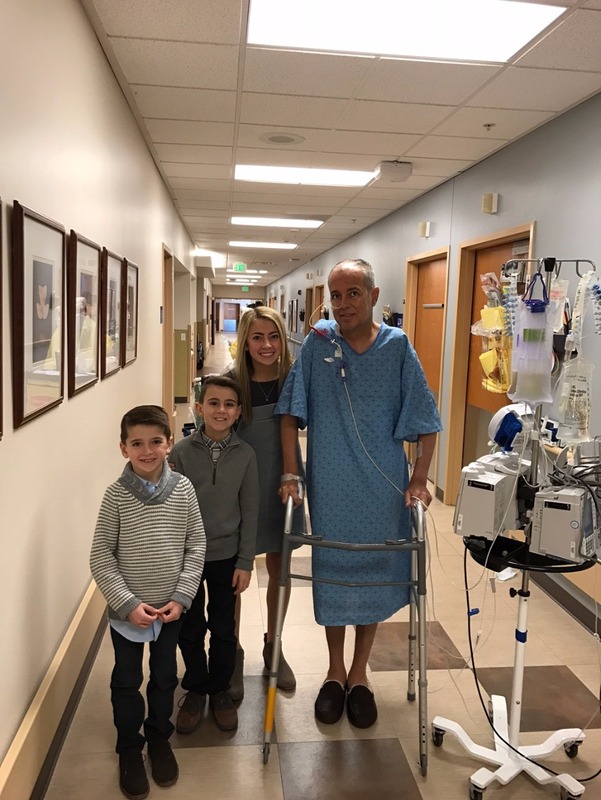 At this time, Tony was rushed to the hospital to undergo more tests only to discover he had contracted the fungal infection called cryptococcal meningitis through the transplant. This is a very rare illness but extremely serious affecting the blood and spinal fluid. It is extremely dangerous for those with compromised immune systems (like someone who just got an organ transplant). After weeks of intense treatments physicians were able to get a handle on this complication. With more follow up visits and monitoring it was discovered the liver had developed an abscess that would need to be treated. This abscess was sending infection throughout the body and causing serious illness. Tony was again hospitalized while the infection was treated. While treating the infection, an angiogram revealed blockage of the hepatic artery. The diagnosis quickly became a serious concern for the medical team. Through more scans and tests, it has been determined this the artery cannot be repaired. Simply put, Tony is going to need a new liver. He has been placed back on the transplant list while he continues to fight the infection currently attacking his body. Beyond the insurance, there are the expenses of everyday life. 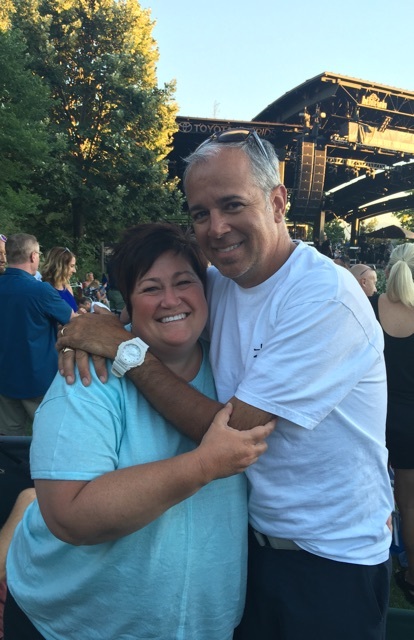 In early August, the Parkinson family experienced a flood in their home that wiped out a large chunk of their savings to repair. They have 4 children, one currently serving an LDS Mission. Although insurance will soften the blow of the daunting medical expenses… daily life and bills continue at Tony’s household. Like every responsible father and husband, Tony was prepared for financial hardships and struggles. Every time they feel like their struggles are easing up, another blow is dealt them. Tony owns an appraisal firm and unlike corporate America, income for the self employed is never guaranteed. When health battles persist, there is little to fall back on outside of your reserves and savings. This is not a small struggle. We are hoping that this fund can help ease the burden of worrying about medical bills and expenses while Tony is battling for his health. We hope and pray a new liver can be found quickly and, during that time the infection can be treated with positive results. Thank you to the many who have reached out during this past year. Many have asked how they can help during this time. THIS IS HOW YOU CAN HELP. Every little bit can make a big difference. Let us help get Tony home with family so he can continue to be a husband and father. It has been several weeks since we have posted an update about the Parkinson family. Tony received his transplant and it has been touch and go since the surgery. Recovery has been difficult - as expected. The mental anxiety for the last year has been overwhelming! Many good people in the community and neighborhood continue to help where they can. Tony has spent several nights in the hospital since the transplant with severe issues. The most recent blow came as insurance has denied a procedure from his first transplant. The bill for this specific procedure is BIG. The Parkinson family has appealed the claim but has been denied coverage. I would urge each of you to again determine if you can assist the family. Thank you in advance for your continued love and support for Tony and Jill both financially and emotionally. I just wanted to take a moment to send a personal note to each of you who have donated to the GoFundMe on behalf of our family. We have been amazed at the generosity of so many of our friends near and far. It has buoyed us up and carried us through some pretty dark days in the last several weeks. Most importantly, it has allowed Tony to focus on getting himself well instead of worrying about mounting medical bills. I’m not sure that just saying thank you is an adequate expression of what this fund has meant to us. We will spend the remainder of our days paying it forward. Tony received his new liver last Tuesday January 24 in a 12 hour surgery. He remained sedated and in ICU until they could perform a second surgery on Thursday to close him and to recheck the grafts of the new organ. He has been recovering on the 10th floor, our home away from home, since Friday. It has been a very tough and incredibly long week for Tony and I. Yet our thoughts are never far from our donor family and the grief they are experiencing this week. We do not know much about our donor, other than they were young and very healthy. Their final unselfish act of donation has restored Tony’s health and given him the opportunity to resume a normal life. Truly one of the greatest blessings we have ever received. Tony has made steady progress each day and I’m starting to see his fight and will to live return with a vengeance. I actually get to bring my boyfriend home from the hospital today and the kids are I are all thrilled to be under the same roof again. He still has quite a long road of recovery ahead of him, but the work of healing is easier and a lot more satisfying than the work of just surviving, which we have been doing the past two months. I can’t wait to see him back on the slopes with his kids, on his bike with his buddies and on the field with his team. Mostly, I’m looking forward to having him feel well enough to enjoy our life together. Never take the simple things for granted. Our life is crazy, messy, and busy, but it is beautiful. This past year has taught me just how blessed I am. Truly I have the best husband, kids, family and friends on earth. I am so grateful for this journey and for each of you for holding us steady during a pretty terrific storm. Tony went into surgery late last night. The surgeons indicated it was a very tricky, intricate case. In the early hours this morning, after removing the existing liver, Tony received a new liver from his donor. With the transplant being very complicated and technical, there was a lot of swelling of the blood vessels. This is not bad news, but must be treated carefully so as to not occlude the vessels. With this in mind, the medical team is keeping him sedated for the next 2 days. For the time being, Tony is very stable and the labs continue to improve since receiving the new liver. On Thursday the team will check the artery connections and proceed to finish the procedure. Please keep Tony and Jill in mind today. Keep the Parkinson family in your thoughts. Keep Tony in your prayers. There is good news coming from the Team-Tony camp today! Tony and Jill have received information that there is a liver available which he may receive today. We hope each of you will keep the Parkinson family in your thoughts throughout the day and pray for a successful procedure. Transplant surgery is a lengthy preparation process. Tony will be at IMC today while the surgeons procure the organ for transplant. If all goes well, Tony may be in surgery late today and throughout the night. The process once they begin the transplant will be roughly 12 hours. Please spread the word of this fund so we can maximize the exposure. Hang in there! We love you guys! Our love to Tony and his dear family.